that he tried to distill gold from urine . . .
or could be the golden color of urine deceived him. actually ammonium sodium hydrogen phosphate. to a guy in Dresden. 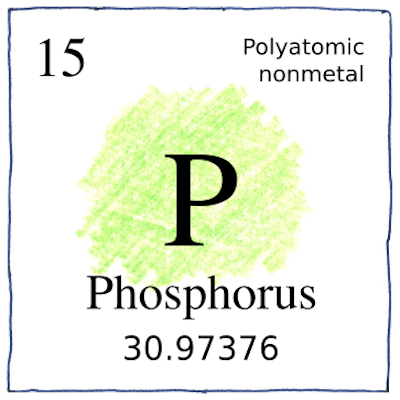 Lack of phosphorus in the diet can result in hypophosphatemia, with neurological symptoms and so forth, but too much phosphorus isn’t good either. Vertebrates with teeth should appreciate that phosphorus is essential for growing bones and teeth enamel. Maybe that’s why my sweetheart’s teeth are so bright!